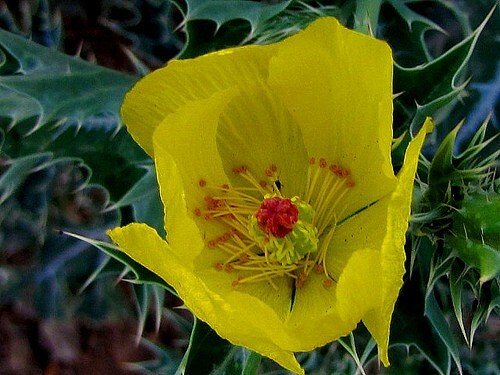 Mexican Prickly Poppy is from the Papaveraceae family and is native to mexico. Argemone mexicana has many medicinal uses: It has been used as an anesthetic for surgery; It has been used to treat cancer, the common cold, fever, inflammation, and toothache. This poppies chemical constituents include protopine, berberine, and several isoquinilines. It has been ritualistically used as a smudging herb.